The following lines will talk about serious journey that awaits in Istanbul anyone who wants to return home with dresses for 10 Lira and jackets for only 5 Turkish Lira. If you are a beginner buyer, you’ll probably arrive in Istanbul over the agency that will take you to a couple of shopping malls or simply take you to the Grand Bazaar, which is too expensive. This is generally a nice experience that will cost you if you do not know how to bargaining. 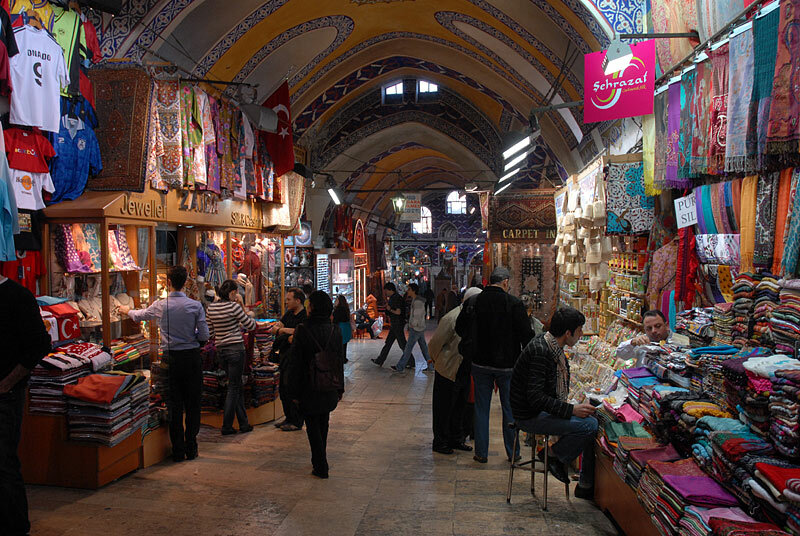 The only benefit of Grand Bazaar is the fact that you will immediately be offered a discount on silver, if you go accompanied by a Turkish friend, he or she will get an even better offer and lower price. This is equivalent to the following example; you’ve come to Belgrade, and at start they take you to the “Zeleni venac” and then to the “Ušće” shopping mall. Anyway, the next time you will pay for more days because it was nice to end up in Istanbul and Istiklal Caddesi, which is the equivalent of buying in our Knez Mihailova. It’s time to go to the next point for the Serbian shopping – department store Morava. Nice, but generally expensive. The ladies might be interested, because there are very beautiful Accesorize discounts and has things differently than in Serbia. And this is something. It is located across the Bayezid Mosque. It is very possible that you will run into a seller who speaks Serbian, but if everyone is talking in Turkish, maybe even better. Insist on Serbian, English just when you need to; you can also insert a word in Turkish, which can be easily found on the Internet, and you can expect a very good discount on the clothes of the skin. If you are skilled, you can get a leather jacket for 50 euros. There are stories about people who managed to get even better price, but personally I do not have such experience. One thing about bargaining; never trust a sad face and pouting on the other side, it is all part of the show, and no matter how you manage to drop the price – trust me that your Turkish vendor has a nice earned up to you. After this you can go to the nearby Grand Bazaar, just to see if you were successful negotiator; or to the shopping center Historia, which is also about 10 minutes from Morave- if you do purchase the type of brands Mango, Zara and the like. Misir bazaar, ie. Egyptian market, ie. 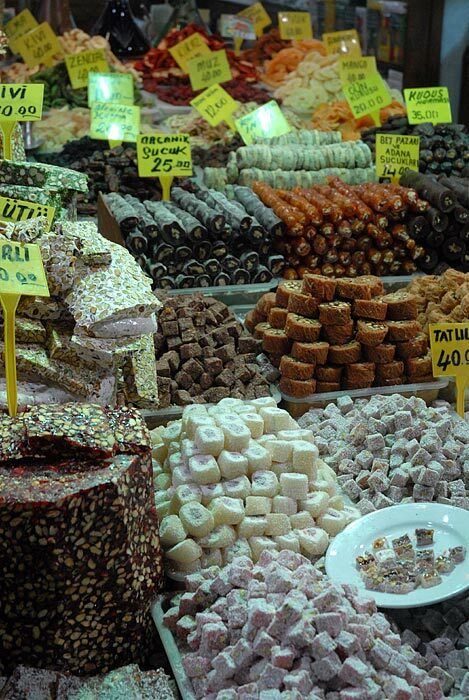 Spice Bazaar is a paradise for gourmets and those who love sweets. For more information, see the story in the forum by clicking on the image below. Here goods coming from India and you have, for example, shops with 50 species of rose tea. We advise you to go over Galata Bridge and then bravely go to the part of the town called Sisli. From Galata Bridge just ask how to get to Taksim, or just go straight ahead and when you reach Taksim and get your hands on the Cumhuriyet Caddesi, begins the real shopping treat. On both sides of this street, there are alternately ordinary and luxury boutiques.Take a whole day for this, because there are all, most shops with textiles. The prices vary a lot. Failures are specially marked so that quality bathrobe made of heavy cotton costs 10 lira or 5 euros because the seam somewhere went askew and the like. There are also beautiful boutiques where you can dress up from head to toe for less than 20 euros. Pay attention to the chain of boutiques Waikiki, which is nothing else but Turkish H & M and offers a great selection of clothing at cheap prices. You can find them on the Internet and check what they offer. At the end of this street (2 km long) is located Cevahir shopping center, one of the largest in the world. Everything that you could not find before, here you will find. You will notice shops Cotton and Y-London that are both Turkish brand and offer a great selection of clothing and accessories, and constantly have some discounts that can be recognized by inscription INDIRIM. For advanced researchers, we recommend to go to the Asian area, and a tour of Uskudar and Kadikoy. Prices of souvenirs, tea, sweets and spices are generally lower than in the European part. Especially, we recommend street that climbs steeply to the church of St. Euphemia in the Kadikoy (Kadikoy bazaar itself is almost a mall), where the cheapest is Zara (but there are a constant crowd), as well as many small and exceptionally favorable boutiques and shops. Take a look also where to buy gold and silver jewelry in Istanbul. In the end, get information about the weather, dress lightly and our advice for both genders is to wear a tracksuit, because if you changed clothes 30 times a day, you will be thankful for this little precaution. Sneakers, ie. comfortable shoes are probably implies! We want to warn you, what follows is not for those who need just one shopping mall to satisfy its shopping wishes.